The SCD-2060 is a high performance dome camera. Equipped with Samsung's W-V DSP chipset, it delivers good results even in dark environments with light levels down to 0.15 Lux. In addition, the SCD-2060's 2.4x varifocal lens (2.5 ~ 6 mm) provides a wider field of view than the 3.6x models. 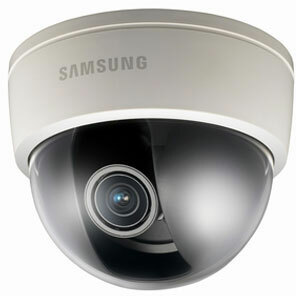 It comes with built-in remote coaxial control compatibility, VPS (Virtual Progressive Scan) and True Day / Night with ICR.